In this tutorial, we will explain How to Read and Write Excel file in Java using JExcel API. 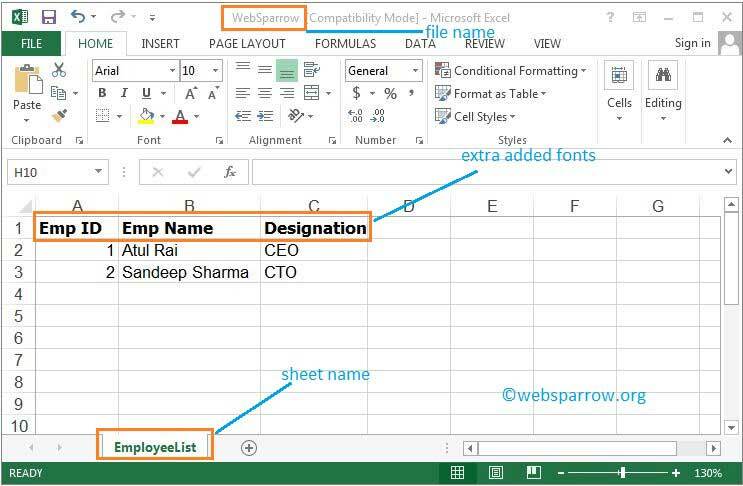 Let’s see the step by step first we need to create an Excel Workbook and the further step is creating Sheet and adding content into the sheet. To download this jar file click here. After downloading the JAR file, add it into the project library. Code to create a new Excel file. When you have complied and run the above code, you will get the below output. To check the output go to your file location and open the generated Excel file. Code to read the above Excel file.